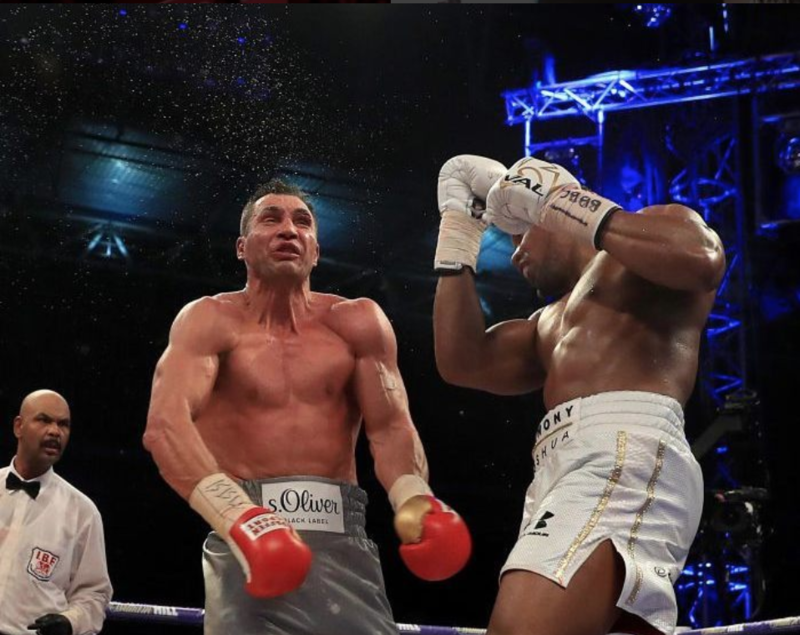 Punching forces in amateur boxing are around 2500 N… If you weigh 70 kg (11 stone or 154 lbs), you’ll exert about 700 N of force just stood still. That makes punching force about 3.5 times body mass. And to make that even more impressive your punch takes around six-hundredths of a second (~60 ms) to throw. Punching requires rapid force development and can be developed by explosive strength training. Boxing tradition states that adding muscle mass to a boxer will slow them down. Whilst contemporary S&C coaches argue against the latter. Depending on the training method, however, both are correct. A forceful punch is dependent on momentum. This is related to how quickly we can move mass towards the target (glove to head). So the best way to punch harder is to get bigger, stronger and move faster. That’s why heavyweights with fast hands hit so hard. They generate a lot of force and momentum. However, boxers are limited to increasing mass because they have to make weight. Therefore, developing momentum without adding excessive muscle mass becomes a priority. This means that a boxer needs to focus on training to develop a neuromuscular system with the capability to generate force rapidly. To achieve this, we use strength-speed exercises. We structure our programs based on the Force-Velocity continuum. The curve shows an inverse relationship between force and velocity. This means the heavier the weight you lift (force), the slower you lift it (velocity); and the lighter a weight, the faster you lift it. The image above shows the different types of training that occur at different points of the force-velocity curve. Maximum strength is at the top left with high force, low-velocity movements and speed training towards the bottom right with lower force, higher velocity. At Boxing Science we use a range of exercises to, train boxers across the Force-Velocity curve. Strength-Speed (sometimes referred to as explosive strength) is a classification of strength training where athletes are required to produce large magnitudes of force in a short timeframe. The aim is to optimise rate of force development. We use relatively high intensities within this zone (70-85% of 1RM), keeping the focus more on the strength aspect rather than speed – hence the term Strength-Speed. Strength-Speed might reduce the likelihood of muscular hypertrophy, making mass gains slower but increasing speed. Improve the speed of motor unit recruitment and enhance intramuscular coordination. Improve muscle and connective tissue resilience. It all comes down to rate of force development (RFD). This refers to how quickly we produce force. What we’re wanting to achieve is peak RFD. This has shown to be achieved at loads of 70-85% 1RM rather than 50% or less and relates to our strength-speed training. Increasing RFD whilst simultaneously reducing the time to peak RFD, will result in a left and upward shift in the force-time curve. This shift equates to improved explosiveness. High force development is critical to an effective punch. Why Strength-Speed over Maximal Strength? Maximal strength training is achieved with loads 85%+ of 1RM. Whilst max strength training sessions should be included in a well-rounded strength programme, there are disadvantages to this type of training in boxing. Max strength training promotes hypertrophy, and if performed slowly will result in increased body mass and potentially slower neuromuscular recruitment which might impact skills training. EVEN WHEN OUR BOXERS LIFT HEAVY…. WE ENCOURAGE SPEED! Furthermore, training with heavy loads can result in neural and muscular fatigue, which can be detrimental to an athlete’s progress during intensified training periods. And there is always the risk that heavier weights will develop slower grinding type movements, which might have an adverse effect on boxing specific movements such as hand speed. In no way are we disregarding max strength training as a training parameter for boxers but it does need to be planned and implemented at the correct time. How do we target Strength-Speed? These are the ‘gold’ standard for developing explosive strength, as it teaches “explosive” movements, activating several muscles & joints in the process. This has a large transfer to any sport that involves running, jumping, throwing or striking movements. It also promotes rapid kinetic chain sequencing, which again is important for any sport. For example, a punch in boxing whereby force is generated from the lower body and hips, through the core then into the upper body. We use variations of Olympic lifting appropriate to the athlete’s needs and lifting competency. Although it’s seen as the preferred method in developing strength-speed, it’s sometimes not necessary as it requires good technique. Developing Olympic lifting technique often takes time and good mobility, which are often limitations to how much we progress boxers on these lifts. These can be great alternatives to Olympic lifting. The techniques are much easier to learn and we can load them up to produce more force through the lifts. This increases the likelihood of explosive strength gains. Lets say we want a harder punch at a longer range. One way we can do this is to increase the amount of force generating elements within a muscle-tendon unit but that has implications for making weight. So a great way to improve this is by using a technique called Accommodating Resistance Training. This is where the resistance of an exercise increases with the range of motion encouraging an athlete to apply more force at the top of the lift. This can be achieved with bands, chains or partial range lifts, mainly done with squats, deadlifts and upper-body pressing exercises. Bands – Attaching the bands to the end of the bar will make the resistance harder at the top and is a great tool for developing speed and acceleration. Bands can also create a greater eccentric demand so could cause muscle damage, so be careful where you place them in the program. Chains – Using chains can have positive effects on bar velocity and stability. Preferred loads are between 70-80% 1RM. Also, a reduced eccentric demand can encourage a rapid stretch shortening cycle. Although it’s an effective training method, there are some considerations you should take when doing accommodating resistance training in order to optimise your results. Training History – We wouldn’t encourage every boxer / coach to jump straight into this type of training. There are several cycles of manipulating volumes and intensities before trying this complexed training method. Target to lift strength standards (x Bodyweight; Squat > x1.5, Deadlift > x2, Bench > x1) before trying accommodating resistance. Get the ratio right by calculating the average load – Getting the ratio right is integral to optimizing adaptations from Accommodating Resistance training. Results can be affected if the bands are too heavy or the set up isn’t right (explained below). But even then, many S&C coaches will just ‘guesstimate’ what loads they should be lifting with the bands. When using bands, you should aim for strength-speed loads of 70-85% 1RM. To ensure that these loads are achieved, you will need to calculate the average load. Band Selection – You need to make sure you select the right band to make sure you get the ratio right. To make things easier for you …. We advise getting some 20kg bands (link below). Set Up – When setting up, make sure that there is enough tension at the bottom / not too tight at the top. Check out the video below where it shows you how we set up our bands, and the range of exercises we use for pressing exercises. Velocity Based Training (VBT) encourages athletes to lift at speed. VBT is a method whereby the speed of a lift is used to monitor performance and structure programs. It’s often used in strength and conditioning for improving strength and speed. 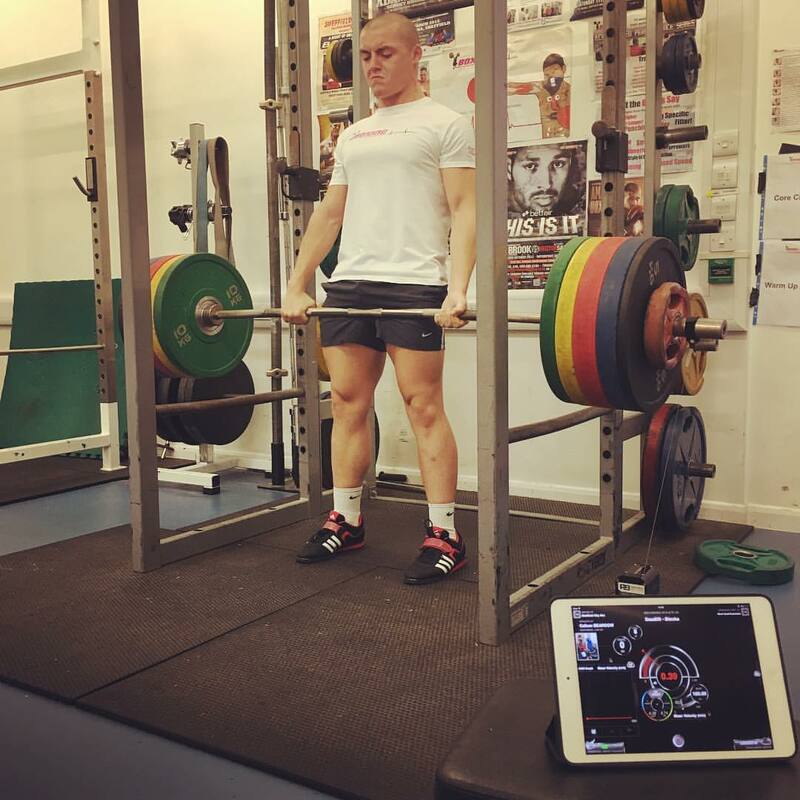 Barbell velocities can be monitored using linear position transducers (LPT) or wearable accelerometers (e.g. PUSH band) to give instantaneous feedback on the movement velocity during an exercise. In our case, we use an LPT (GymAware) to measure velocity. Gaining information quickly allows coaches to give very specific feedback to athletes, which increases motivation, competitiveness, mood and performance. What can we get from VBT? Velocity decreases with an increase in load. This allows us to see where athletes need to develop. For example, if the gradient is steep, we are dealing with an explosive athlete that needs to work on strength. We can estimate 1RM from day to day. This is achieved through target velocities such as what velocities athletes should be hitting at certain loads. For example, 100 kg 1RM Squat, 85% 1RM = 85 kg, Target Velocity = 0.45 m/s. We’ve had some awesome results using VBT, including preparing Kell Brook when he stepped up to Middleweight to fight Gennady Golovkin. Here are some recent success stories of VBT for our boxers. 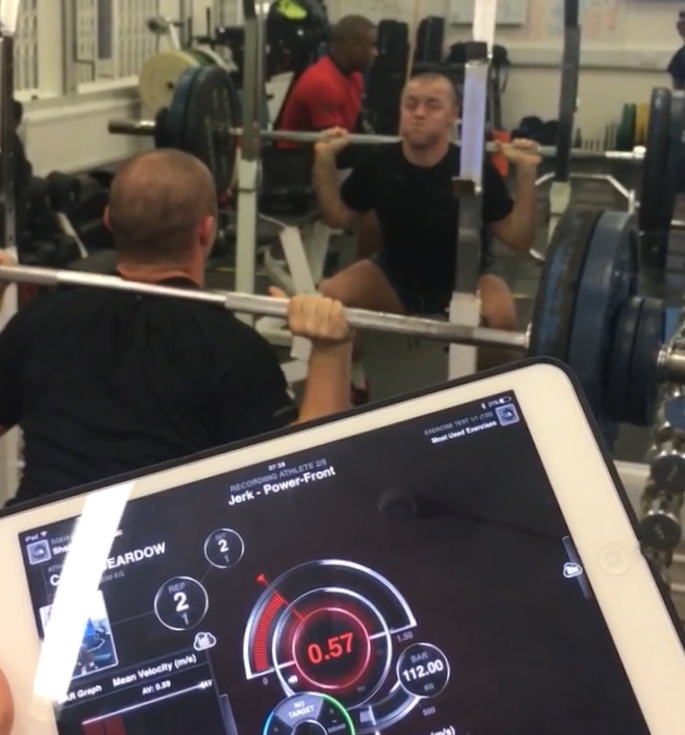 Callum Beardow improved his mean velocity by 11 % on 100 kg on the Back Squat, this is at 71% 1RM suggesting good improvements in speed-strength / low-load strength-speed. However, Callum has showed greater improvements at heavier weights, improving his 120 kg back squat (85% 1RM) mean velocity by 28%. This means that Callum is now lifting over 20 kg more at the same velocity (0.72 m.s-1) (100 vs 120 kg)! The improvement at 85% 1RM back squat shows that the recent training block was successful in developing Callum’s strength-speed performance and this should transfer into a more explosive punch. Jordan Gill is now lifting 80 kg on the Back Squat at a mean velocity which is 8.5% faster than at the start of his strength-speed block (6 weeks). It’s important to note that Jordan was also reducing his body mass to make weight and also lost some lean tissue, highlighting the importance of this type of training on the neuromuscular system. Enjoy this article? …. You may be interested in attending one of our coaching workshops…. Boxing Science are excited to launch ‘Ultimate Coaching for Combat Athletes’. Our brand new coaching workshop giving you the opportunity to learn directly from us. In one weekend, we’ll give you the tools you need to become a better coach and help your athletes reach the next level. Check out the review below, and if you’re interested, either get in touch with us at boxing.sci@gmail.com or at fill in the google form.